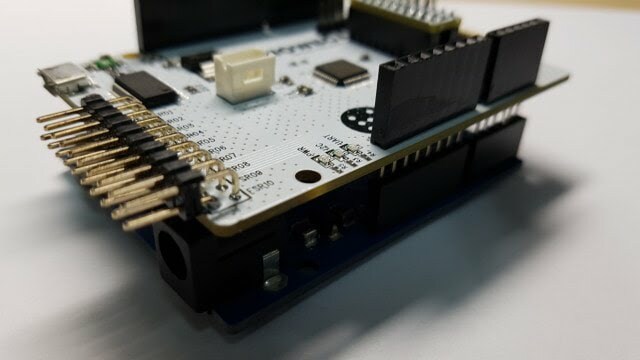 5.3 You may be able to use Arduino Bluetooth shield such as Bluetooth Shield 2.0 from SeeedStudio.Note: To use other Arduino shields, Snowboard 2 should be operated as an Arduino shield as well. 3. Connect Snowboard 2 and your PC with USB micro cable. 4. Open device manager and check if Snowboard 2 is correctly recognized. 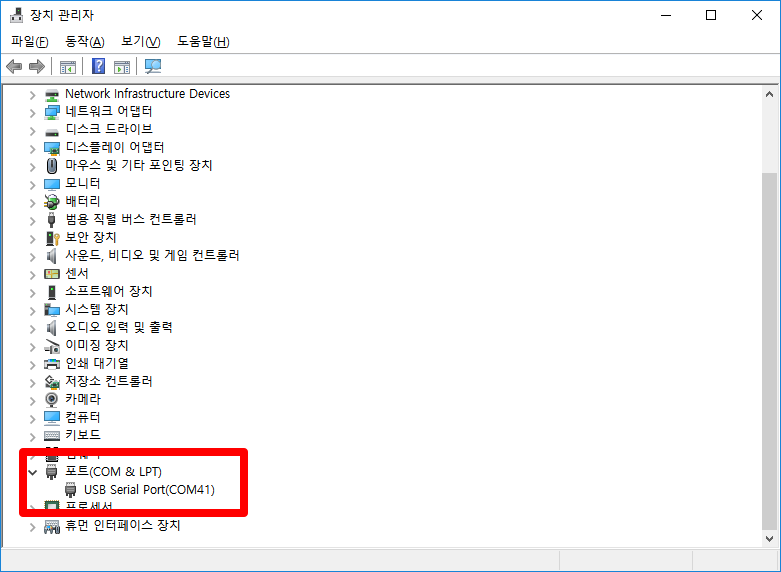 You should see 'USB Serial Port(COMxx)' in device manager. 7. Click CHOOSE PORT and select port you saw in device manager. 9. 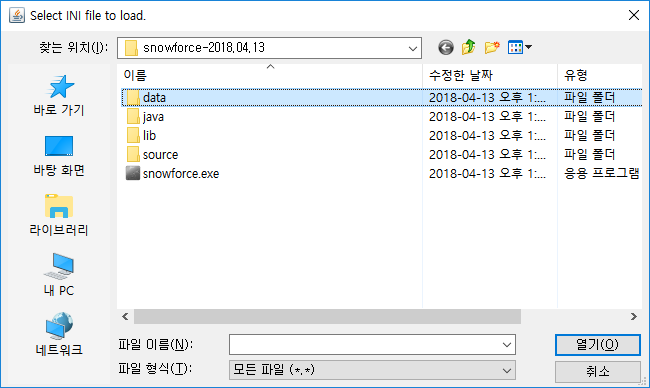 In file dialog, go to data folde, find snowboard2_standalone_ms9723.ini, and click Open. 11. Now you can see Snowboard 2 runs. For using Snowboard 2/Pro as an standalone device, load snowboard2_standalone_ms9723.ini. For using Snowboard 2/Pro together with an Arduino, load snowboard2_arduino_ms9723.ini. Knowing Snowboard 2 communication setting is not necessary if you are using Snowforce for data acquisition. However, if you are considering to build your own application with Snowboard 2, this information will be helpful. If you are using Snowboard 2 as a Arudino shield, please use baudrate of 115,200bps. 1. Upload Arduino firmware to your Arduino board by following these instructions. 3. 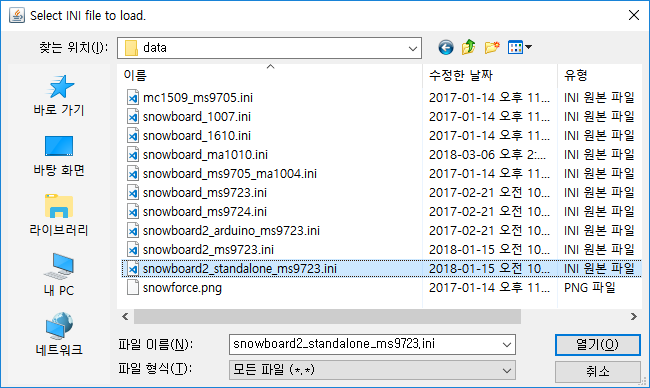 Run Snowforce with INI file snowboard2_arduino_ms9723.ini. Note 1: Snowboard 2 has been tested with Arduino Uno and Leonardo. We believe that Snowboard 2 can work with other Arduino models. Note 2: Snowboard 2 is an Arduino shield and the photo below shows Snowboard 2 stacked on Arduino Uno. When you use Snowboard 2 as an Arduino shield, please plug your USB to Arduino not Snowboard 2. Simply speaking, Snowboard 2 cannot be reprogrammed. However, you can use Snowboard 2 as Arduino shield and then upload your own firmware to Arduino so that you will be able to achieve similar results from reprogramming Snowboard 2. You may be able to use Arduino Bluetooth shield such as Bluetooth Shield 2.0 from SeeedStudio. Note: To use other Arduino shields, Snowboard 2 should be operated as an Arduino shield as well. Output of Snowboard is ADC (Analog to Digital Conversion) value which is proportional to the applied pressure. where ADC_ij is (i, j)th sensel of the matrix sensor, R_ref is the value of reference resistor on RPack, and R_ij is the resistance of (i, j)th sensel. If you want to adjust sensitivity, manually replace 1608 resistors on RPack.